Highwood Pass is located on the highest paved road in Canada and offers incredible adventures between June and November each year. Every season offers new sights and experiences. To reach Highwood Pass, take Highway 40, which loops through the heart of the Kananaskis Country park system. You’ll cross over the pass as you drive through Peter Lougheed Provincial Park heading south towards the town of Longview on the Cowboy Trail. 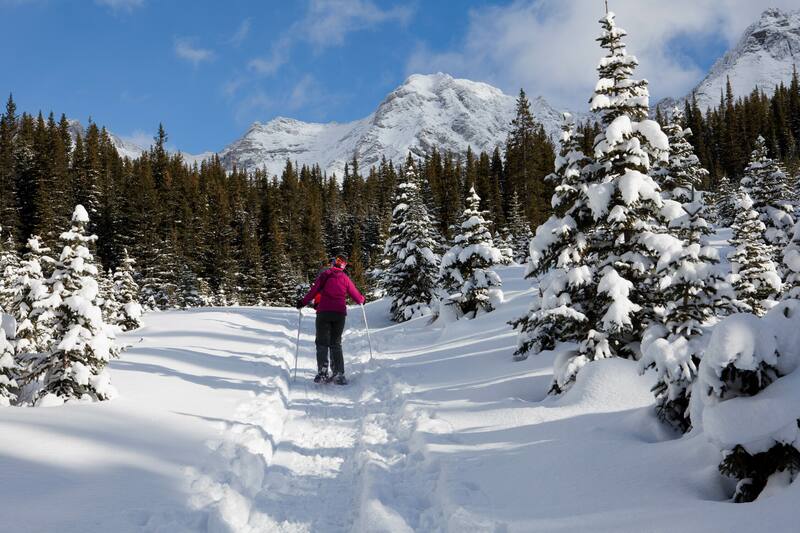 Trails found on both sides of the pass present opportunities for everything from backcountry camping to hiking or even early winter snowshoeing. In the spring, cyclists flock to the area for a chance to bike the highway before it opens to traffic mid June. Between December 1st and June 15th each year, Highway 40 is closed from Kananaskis Lakes in Peter Lougheed Provincial Park southward. This doesn’t mean you can’t get to Highwood Pass in late May or early June, though. Grab your bike and seize a rare opportunity to cycle the 34km return trip to the pass and back. Most cyclists will ride until they reach the Highwood Meadows Day Use Area a few metres over the pass. Wildlife sightings are a common reward for the effort. 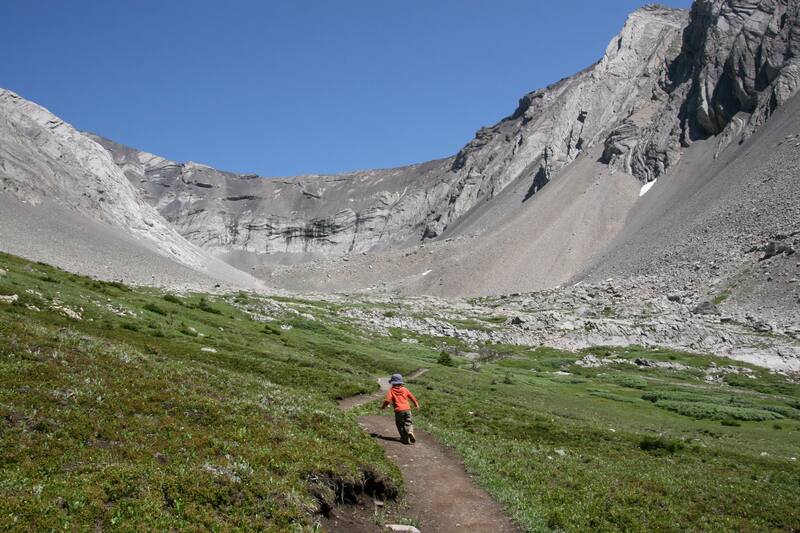 Ptarmigan Cirque provides quick access into the alpine with only 200m of height gain. 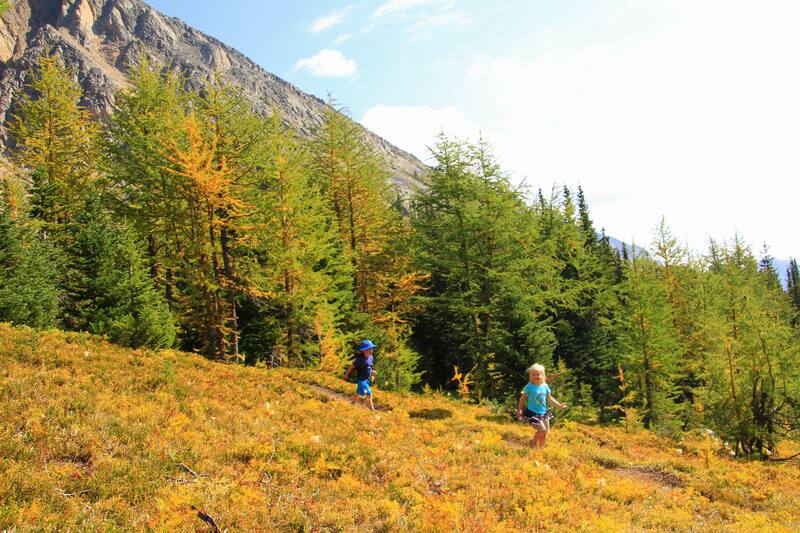 The trail starts from the Highwood Meadows Day Use Area and is an easy 4.5km loop hike that most children will be able to complete. 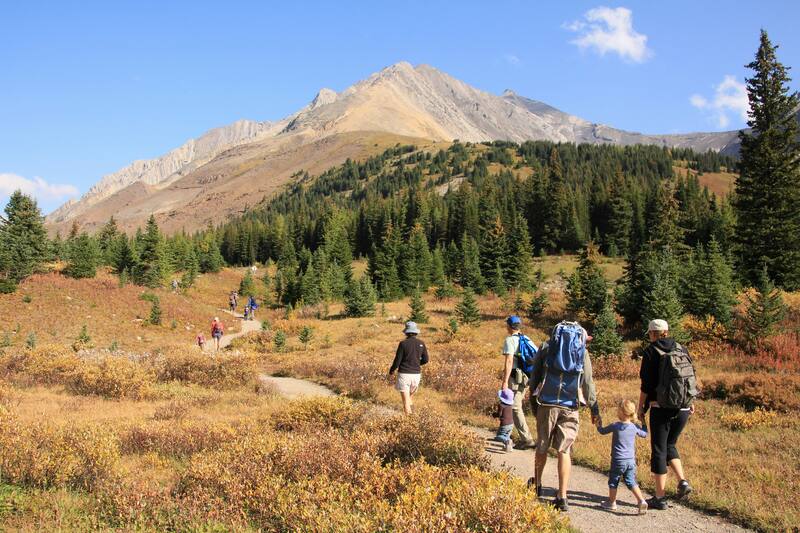 Few hikes provide an easier way to reach the high country of the Rockies. Best of all, the scenery in the cirque is stunning at any time of year. Wildflowers abound in summer while larch trees turn the meadows golden in fall. 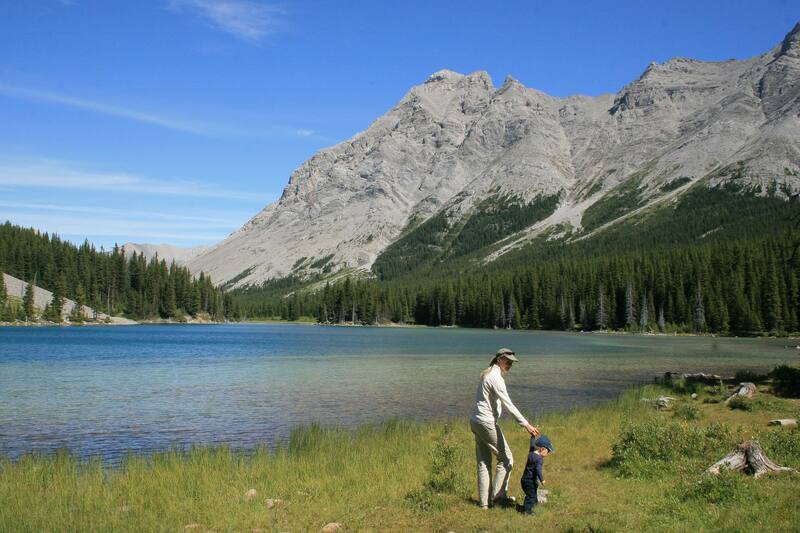 Many families will remember their first backcountry camping trip to Elbow Lake with fond memories. The trail starts from the Elbow Pass Day Use Area just north of Highwood Pass. The short 1.4km hike on the trail leads to a lovely campground situated right on the lake with fire pits and wood provided. Backcountry camping doesn’t get nicer or easier than this. Fishing at the lake and hiking further to the base of the Rae Glacier are other popular activities. Keep in mind that fishing permits and backcountry permits for camping are required here. Fire pits and wood are provided at this campground. Winter comes early to this part of Kananaskis. 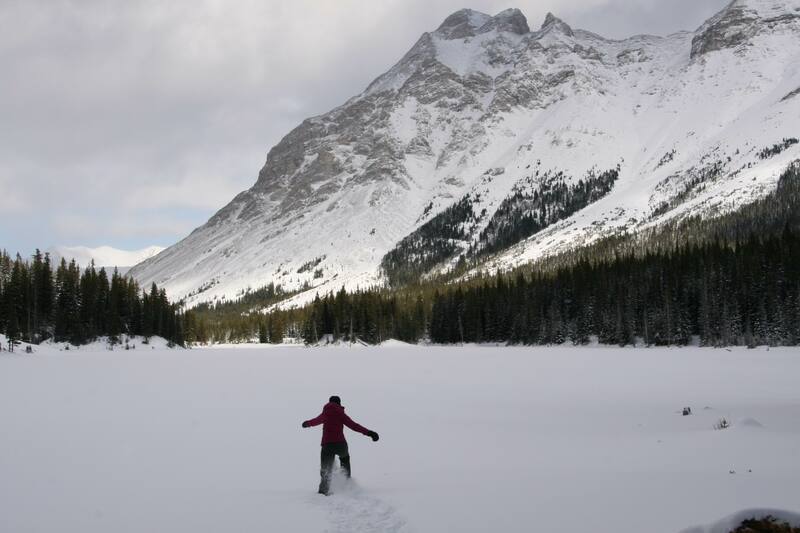 By late November you can pull out your snowshoes and make your way up to either Ptarmigan Cirque or Elbow Lake to discover a stunning winter wonderland. Because Ptarmigan Cirque often has early season avalanche hazards, explorers seeking a safer trip will want to visit Elbow Lake. The lake is also popular with backcountry skiers. A circuit of the lake can be made on either snowshoes or skis once you arrive. Visiting Highwood Pass before the road closes on December 1st is an experience that should definitely go on all Rocky Mountain bucket lists.